The president of Catalonia, Carles Puigdemont has been dismissed along with his cabinet. This is according to an announcement by Spanish Prime Minister, Mariano Rajoy who also declared the dissolution of the regional parliament of Catalonia. The move follows Catalonia’s successful vote for independence in which seventy legislators favoured independence in a secret vote held on Friday afternoon in Barcelona. This move is just a part of the massive political crisis that is occurring in Spain which became increasingly more notable with the events that transpired during the court banned referendum held on October 1st 2017. 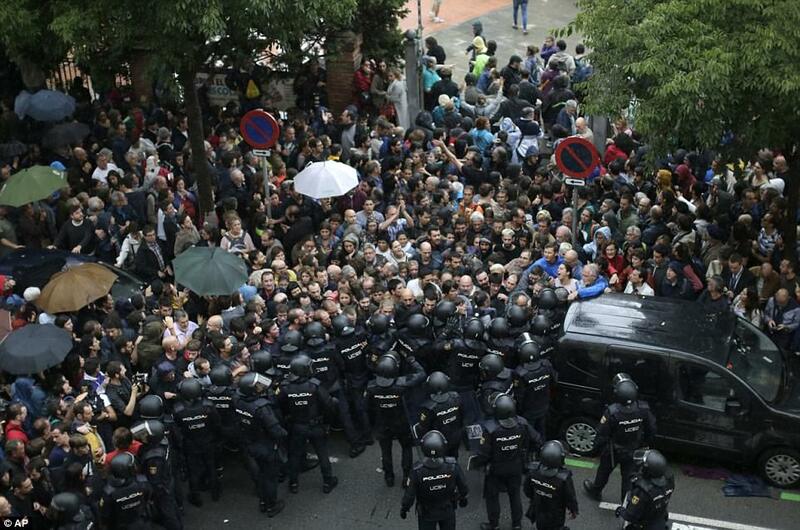 Spanish riot police attempted to prevent people from voting. Examples of excessive force could be seen as riot police used batons and rubber bullets on protesters and even on members of the fire brigade who formed a wall to protect the protesters. Since then, there have been several protests and demonstrations with the general strike on October 3rd and mass protests on the 7th and 8th of October. Then on October 10th, Puigdemont signs a declaration for independence, but its implementation was to be suspended to allow time for dialogue. He was given a deadline by Prime Minister Rajoy. Initially the deadline was to be on October 16th, but was extended. Alongside this, two grassroots independence leaders named Jordi Cuixart and Jordi Sanchez, were detained as the government was investigating them due to claims that they were involved in the organisation of a massive protest that resulted in Guardia Civil members being trapped in the Catalan government offices on September 20th 2017. The imprisonment of Cuixart and Sanchez resulted in large protests in Barcelona with up to or more than ten thousand people going out to demonstrate their opposition. In an attempt to stop Catalonia’s secession, Rajoy uses unprecedented constitutional powers in order to dismiss Puigdemont’s government and to declare new elections for the parliament of Catalonia; such measures were approved by the state. This constitutional power is known as Article 155, a move that Puigdemont expected the Spanish prime minister to use, regardless of whether or not there was dialogue, which is why he declined an invitation to speak with legislators in the Spanish Senate. Additionally, in response to the possibility of Article 155 being implemented, Puigdemont called for a meeting with his cabinet and civil groups that were for independence. 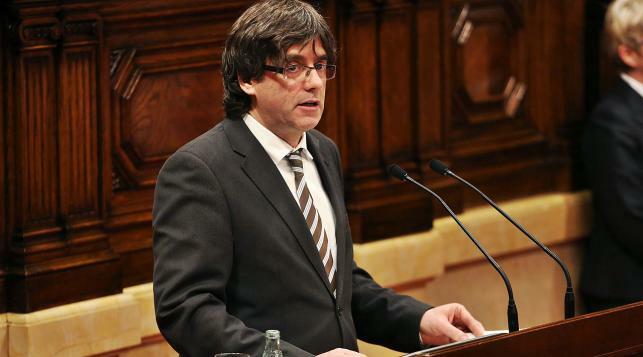 When addressing the nation, Puigdemont stated that there was the possibility of calling elections to prevent the Spanish Government’s bid to take control. However, it was received that this may not be possible and there was speculation that Puigdemont was planning on dissolving parliament and announcing regional elections to prevent direct rule. Then, on October 27th, a secret ballet takes place in which Catalan politicians approve the motion of independence with 70 votes in favour and 10 against. Now the Spanish government has approved direct rule in Catalonia. The announcement of direct rule was made after an emergency that was held with the central government of Spain. On a televised address, Mr Rajoy stated that “the Spanish people have seen a sad day today, where nonsense has prevailed over the law and has demolished democracy in Catalonia”. Many political parties have echoed this opinion. The Socialist Party of Catalonia left the Catalan parliament alongside the Citizens and People’s Party in protest against the vote for independence. Rajoy also told journalists that attempts at liquidating the Spanish constitution will not be tolerated by Spain as a whole. The government announced on its gazette that the senate bill was passed and as far as Spanish law was concerned, once legislation has been published, it has been put into effect. It should be noted that Article 155 has never been triggered since the 1978 Spanish Constitution was passed. Effectively, this means that the Spanish government now has control over Catalonia with the region’s parliament dissolved. With Puigdemont and Catalonia’s head of police force fired, the international embassies of Catalonia are also set to be shut down. Mr Rajoy has announced in a press conference, that he will call for elections as soon as possible in order to restore the previously eliminated self-government that was diminished due to decisions made by the Catalonian government. A response from the Catalonian government to the triggering of Article 155 remains to be seen. However, one aspect that is clear is the fact that the political crisis in Spain has reached new heights and is one of many other examples of events where a region has been fighting to secede with other examples including Lombardy in Italy along with Scotland which has been trying to get independence from Britain and has demonstrated its respect for Catalonia’s decision to declare independence from Spain.